Voor vorige edities verwijzen wij u graag naar ons archief. Please visit our archive for previous editions. 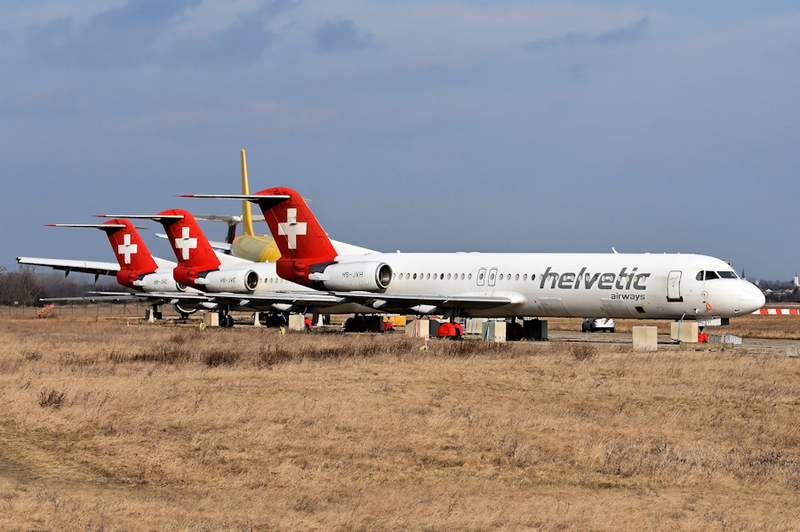 The Fokker Fleetlist will be regulary updated with news and/or pictures. Please be advised to check this section frequently! 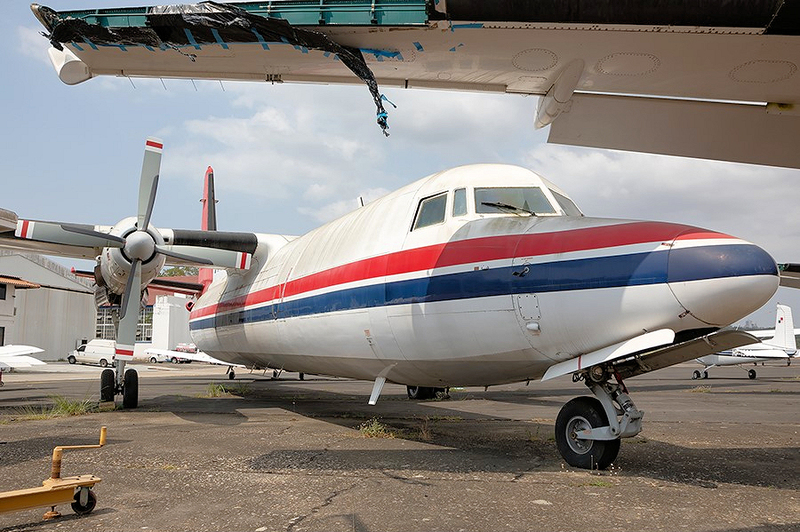 This page contains recent owner & operator changes and other related news to the individual airframes of Fokker F27 (including Fokker 50 & Fokker 60) and Fokker F28 (including Fokker 70 & Fokker 100). Also the Fairchild models F-27 and FH-227 are part of the	Fokker Fleetlist	. The airframes are printed in chronological order. After initial conflicting messages it has now been confirmed that Qantas has taken a 19.9% interest in Alliance Airlines, with the aim to eventually become the majority shareholder. However, the Australian Competition and Consumer Commission is investigating if there has been a breach of competition rules. Alliance considers the Qantas action as an “unwelcome advance”. Despite the involvement of its competitor Qantas, Virgin Australia has renewed and even extended the wet-lease agreement with Alliance Airlines until end 2021; under the new contract Alliance will not only fly domestically but also to foreign destinations on behalf of Virgin. On February 10, 2019, Insel Air suspended all flights until further notice, due to operational problems with their F50. The deal with InterCaribbean Airways (Turks & Caicos) eventually fell through and other parties that seemed to be interested in buying the airline also withdrew. 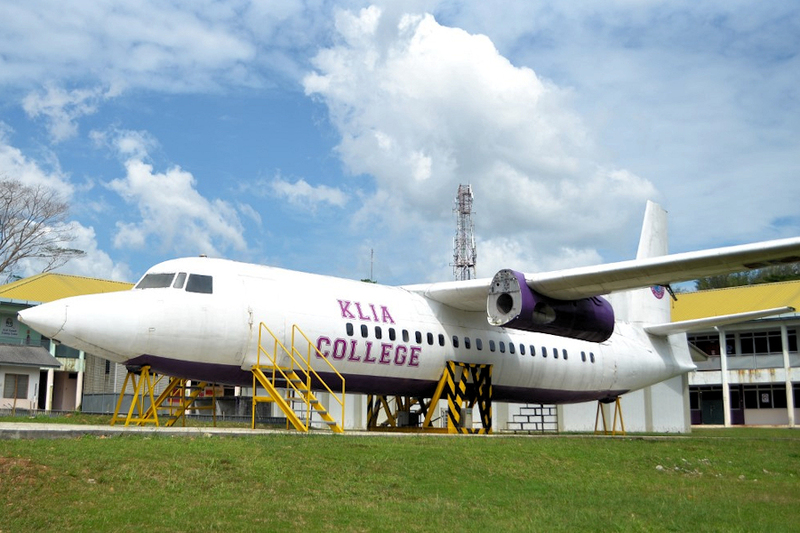 Insel Air was declared bankrupt on February 26 2019. According to a local newspaper, a new start-up is in the process of formation in the Dutch Antilles for replacing Insel Air. 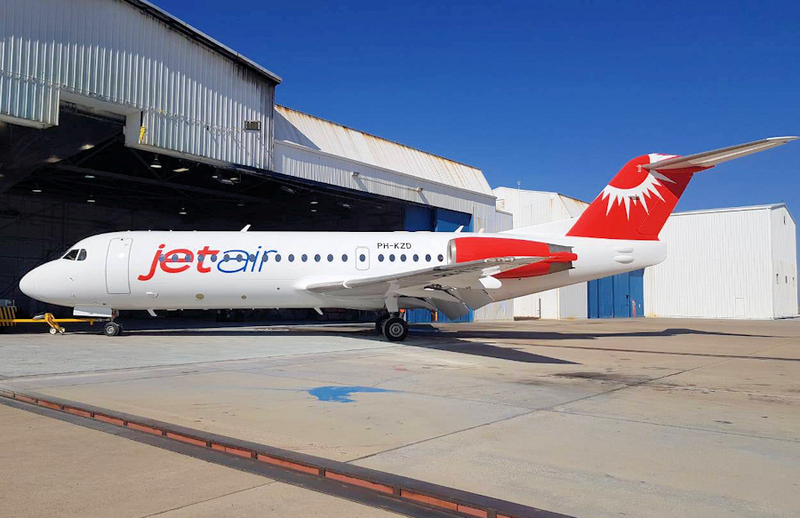 This new airline is a subsidiary of United Caribbean Airlines and will do business as JetAir Caribbean, plans to fly with two F70, from its base in Curaçao to other islands in the region, amongst which Haiti and the Dominican Republic. 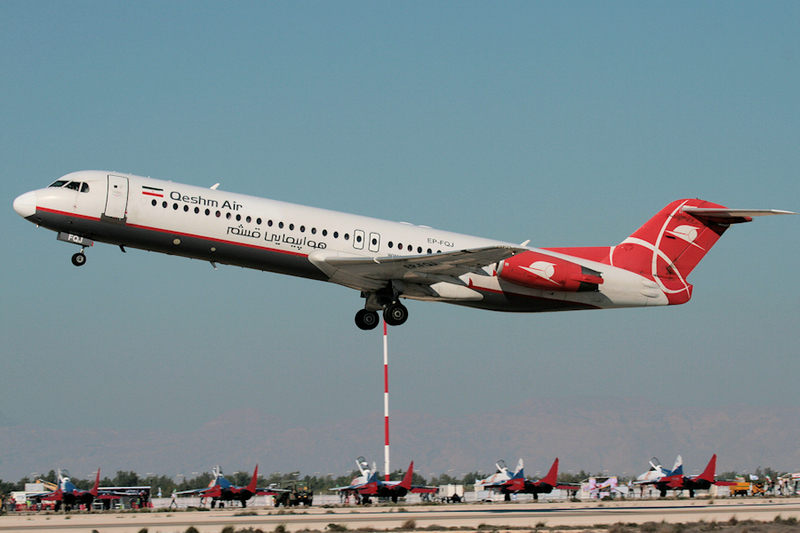 The Iranian Oil Industry Pension Fund Investment Company, owner of Karun Airlines, has put the airline up for sale. Founded in 1927, and until 2017 named Naft Airlines, it is the oldest airline still in inexistence in Iran. The current fleet includes four F100 and six F50 aircraft that are mainly used on domestic services from Ahwaz and Tehran. 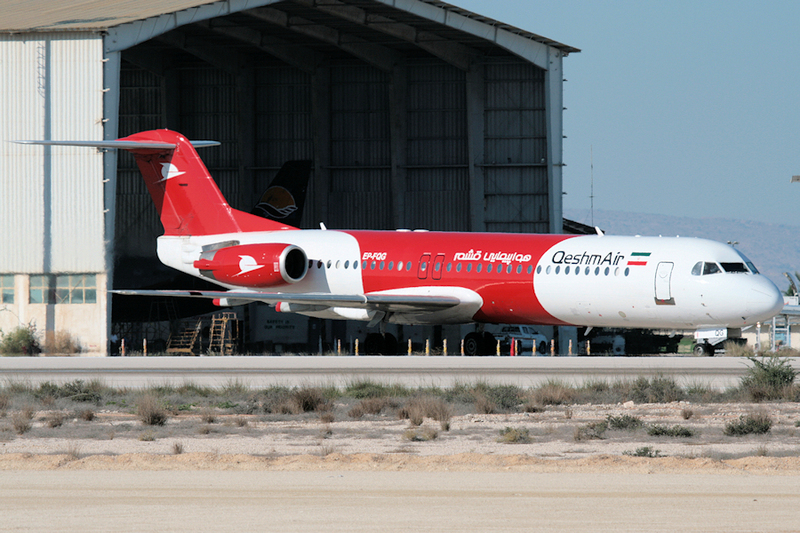 Qeshm Air started a new F100 service from Qeshm, Iran to Muscat, Oman in February 2019. On February 12, 2019, Air Niugini suspended all F100 services to Kieta in the Autonomous Region of Bougainville for safety reasons, because solar panels had been stolen that power the airport's Precision Approach Path Indicator (PAPI) system. Kenyan Tristar Air, which was already in the previous edition of Fokkernews, has eventually suspended all operations by the end of February. A still undisclosed Iranian startup airline from the Chahar Mahaal & Bakhtiari province has reportedly acquired Fokker aircraft for their future operations. 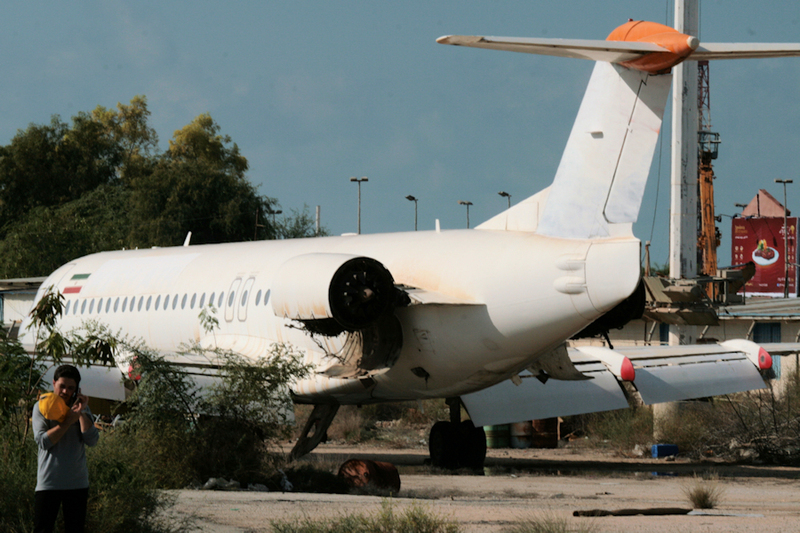 Probably the F100’s come from Iran Aseman Airlines. 20107 050 RP-C VH-FNB LEASCOR. Will be parted out at Seletar. 20113 050 RP-C VH-FNH LEASCOR. Seen doing engine tests at Seletar 150319. VH-registration blacked out (was already cancelled). 10109 100 N143PM Business Express. 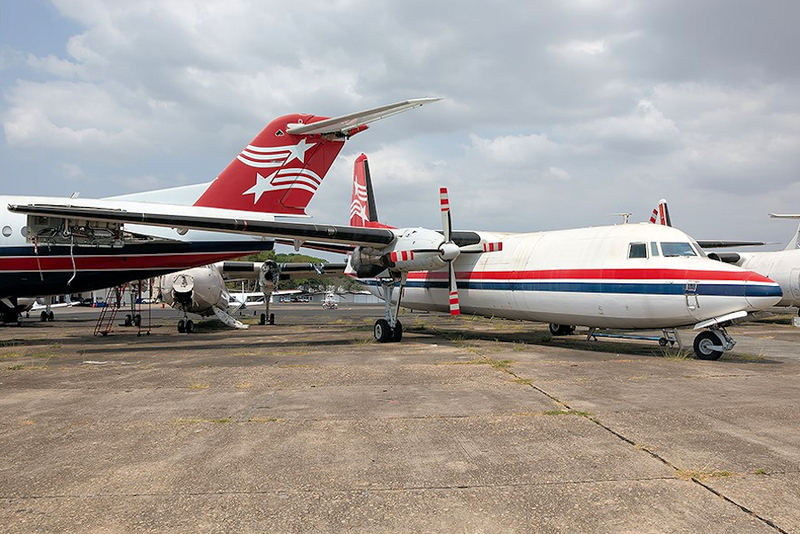 The derelict remains of this early Friendship are at Tampa Bay Airport in Brooksville, FL. The wreck is visible on Google Maps 28.466862, -82.454523. 20145 050 SE-MFU Amapola Flyg (owned by Largus Aviation). Seen in service at Stockholm-Bromma 110319, all white. 20226 050 SE-LTR Amapola Flyg. Positioned from Malmö to Stockholm-Arlanda 060219 for first scheduled service to Lycksele on 070219; all white. 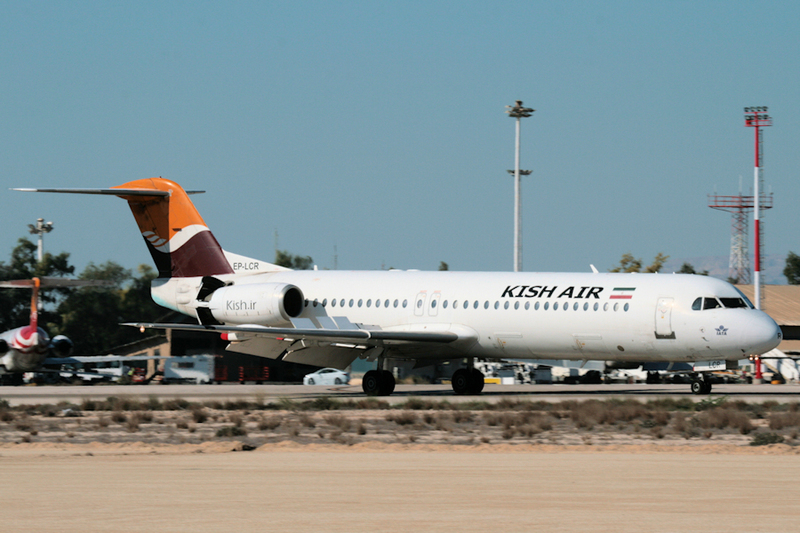 Kish Air still has two active F100’s, which are mainly operating between Kish island in the south and Tehran. EP-LCR (11330) is one of them. 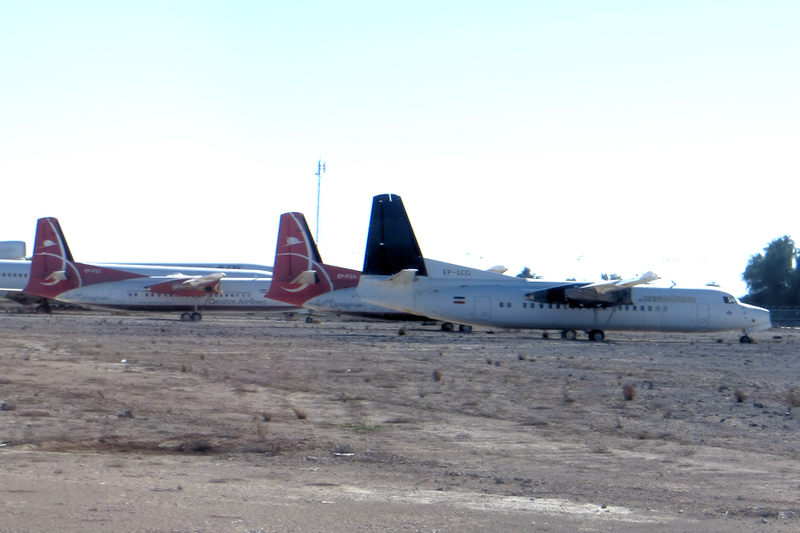 Another Kish Air F100 is apparently withdrawn from use, EP-LCP (11495); the left side carries only the Iranian flag and on the right it still has Kish Air tail colors. 11302 100 EP-IDG Iran Air. Made belly landing at Teheran-Mehrabad airport 190319 after flight IR215 from Qeshm, because the main landing gear could not be extended. There were no injuries among the 24 passengers and 9 crew and no fire, but the aircraft was substantially damaged. 11340 100 YR-FKA Carpatair. Returned from Woensdrecht to Arad 280219 after maintenance as KRP5101. 11395 100 YR-FZA Carpatair. Visited Geilenkirchen air base out of Arad 070219 as KRP4910. 11416 100 9A-BTE Trade Air. Flew Nantes to Maastricht 100319 for maintenance at Samco. 11517 100 UP-F1011 Bek Air. When standing at Almaty airport on 180219 the aircraft was hit by a baggage car that punctured the fuselage. There was minor damage and no personal injuries. 11529 070 VH-NUO OE-LFI Alliance Airlines. Ferried from Bratislava to Norwich 060219 as SXI1902 for pre-delivery maintenance and painting. VH-registered 180219. 11582 070 PH-KZD P2-ANB Registered 190219. 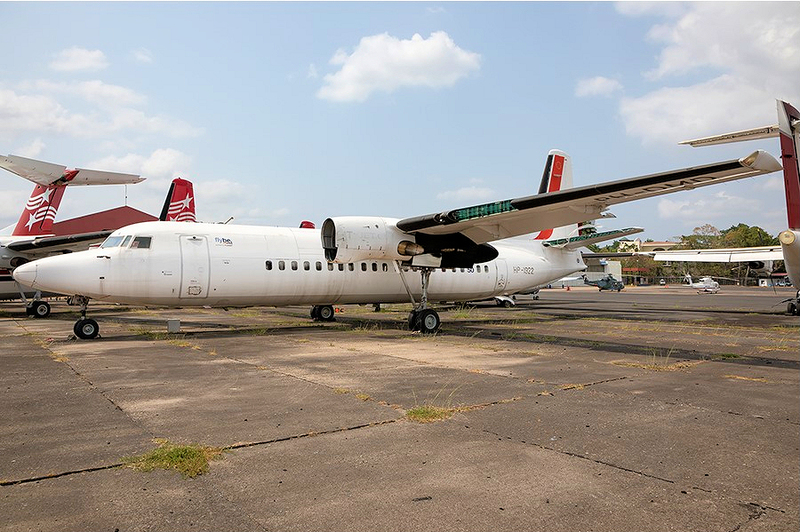 The sale to Air Niugini was cancelled and the aircraft re-registered in the Netherlands, owner unknown, but destined for JetCaribbean. The F70 was at Seletar since September 2017 and flew Seletar-Hyderabad-Muscat-Samsun-Luxemburg-Keflavik-St. Johns-Bangor-Wichita Falls-Amarillo 080319-120319 as SXI1924. 11582 070 PJ- PH-KZD JetCaribbean. Flew from Amarillo to Curaçao 200319 freshly painted, but still with Dutch registration. 11585 070 PJ- PK-TNR JetCaribbean. Due for delivery out of Surabaya in April 2019. Greg Hyde, Fred Niven, Scramble, Jacques Vooren.